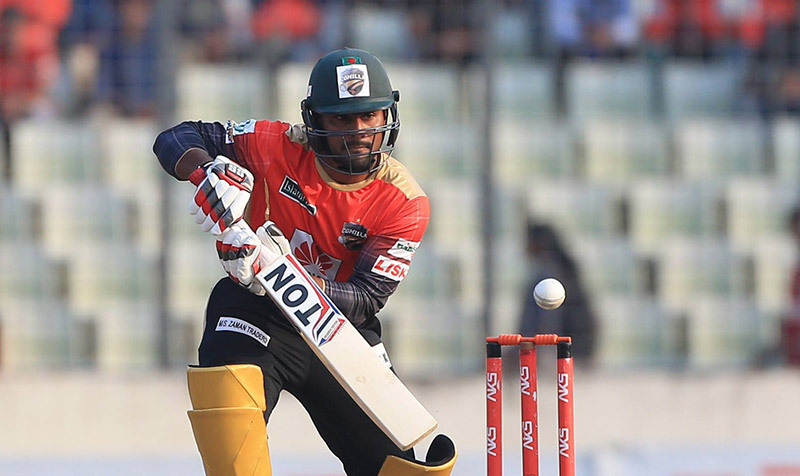 Comilla Victrorians won by 14 runs against star-studded Rangpur Riders at Bangladesh Premier League (BPL) 2017 encounter at the Sher-E-Bangla National Cricket Stadium in Dhaka on this evening. Comilla Victrorians scored 153 for six with the effective contribution of Imrul Kayes and MN Samuels who scored 47 and 41 runs respectively. Both Mashrafee Mortaza and Perera claimed two wickets for Rangpur Riders. Earlier, Rangpur Riders opted to bowl first after winning the toss. Rangpur Riders have won only one match among four matches and remaining at the bottom of the points table. On the other hand, Comilla Victorians have won their last four matches and they are now on the second spot of the point’s table. Comilla Victorians (Playing XI): Tamim Iqbal(c), Liton Das(w), Imrul Kayes, Jos Buttler, Shoaib Malik, Marlon Samuels, Mohammad Saifuddin, Al-Amin Hossain, Mahedi Hasan, Hasan Ali, Rashid Khan. Rangpur Riders (Playing XI): Brendon McCullum, Chris Gayle, Ravi Bopara, Mohammad Mithun(w), Shahriar Nafees, Rubel Hossain, Thisara Perera, Mashrafe Mortaza(c), Sohag Gazi, Nazmul Islam, Abdur Razzak.